I love a well cut jacket, a blazer and not least a coat, and if its not standard - I am thinking about the extreme cutting or the color - even better. 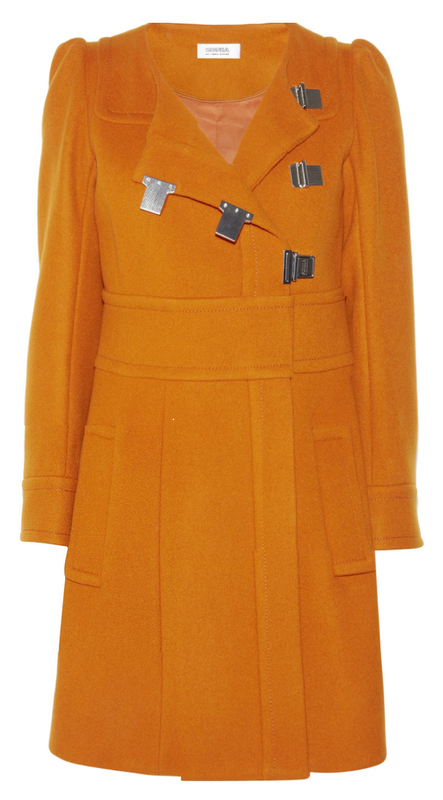 Example of the latter at my pastel yellow MaxMara coat plus my recent purchase which has burnt orange color, 60's style and pair of lovely silver clips. What a great coats, I loe the colour! ohh this coat is fabulous love the unusual color! I love that color so much and the silver clips look awesome against that burnt orange! I love your clothing so much girl! the buckles on the jacket looks so cool!